*Discount available to current students or recent graduates (within 1 year) from any accredited two or four-year school with proof of transcript and/or diploma. $19,750 for the Hardtop 2 Door and $20,750 for the Hardtop 4 Door. The Oxford Edition does not include destination and handling charge of $850 and excludes license, registration, taxes, options, and labor to install. Cannot be combined with other offers. While supplies last. 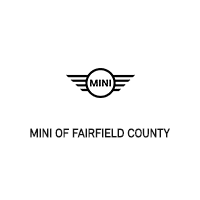 Actual price determined by your authorized MINI Dealers. Savings compared with MSRP of similarly equipped MY19 Hardtop 2 Door and MY19 Hardtop 4 Door. The Oxford Edition is smartly styled with your choice of 6 body colors and assertive 17" wheels in silver or black. And it's just as smart on the inside, with plenty of essentials like heated seats, MINI Connected and a dual-pane Panoramic Moonroof for extra fresh air—all at no additional charge.